Welcome to the flourishing world of Jai Packaging Industries, a thriving manufacturer of corrugated boxes and wooden packaging. 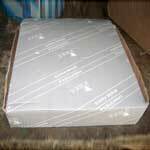 Our company is a one stop solution for simplifying the task of packaging wooden storage boxes. 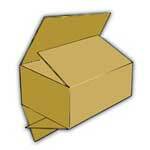 In addition, we are ranked amid outstanding corrugated and plywood boxes manufacturer and suppliers, based in India. 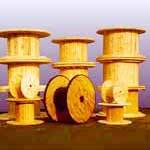 Our company is located in Gurgaon with 500 Sq. yards covered area and 2000 Sq. yards open area. We have high-tech corrugated box making plant and 3 saw mills. Since our inception, we are known for our quality packaging products and services. We have experienced workers and deft technical staff. Our proprietor is a mechanical engineer with knowledge of industrial requirements and an orientation for continuous quality improvement. Our core strength lies in providing innovative ideas for packaging with reduced costing and improved quality. 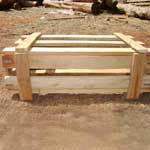 We have facility of fumigation and ISPM 15 certification. 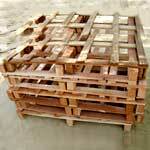 We are specialized in heavy manufacturing consignments for which wooden packaging products are sent worldwide. We are firmly stuck to our policy of maintaining professionalism. We adopt latest concepts and provide prompt services according to the customer’s satisfaction level. Last, but not the least, we have the entire required infrastructure to support any volume of packaging needs.